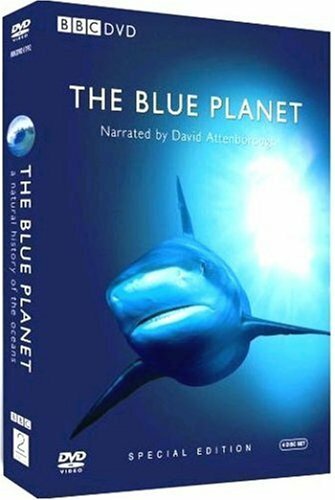 The Blue Planet, narrated by Sir David Attenborough is an epic new guide to the strange and spectacular denizens of our world's vast oceans. We know less about the oceans than we do about the surface of the moon, yet the sea covers two-thirds of our planet. From the familiar to the unknown, The Blue Planet reveals the sea and its communities at their most fearsome and alluring. The Blue Planet has taken 5 years to film by the BBC's celebrated Natural History Unit. Over the course of eight episodes it focuses on every type of marine landscape. 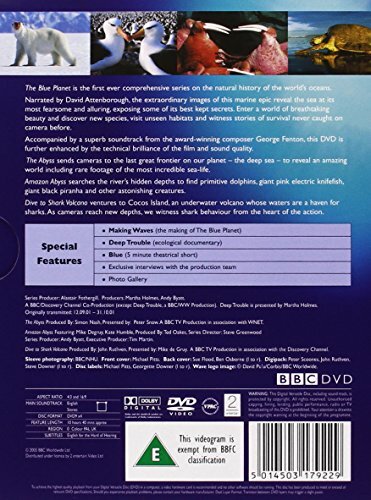 The Blue Planet chronicles the mysteries of the deep; coastline populations; sea mammals; tidal and climatic influences and the complete biological system that relies on and revolves around the world's oceans. All eight episodes of this incredible BBC television series are available in this triple-disc set.